On Last Week Tonight, everyone’s fave John Oliver called out Donald Trump and Billy Bush for their horrifying and blatant misogyny and said basically what everyone’s been thinking. We’ve been disturbed like no other ever since we heard Trump’s awful words, and Bush’s support, and we’re just happy to see people calling out this awfulness for what it is. Basically, Trump said it’s fine to sexually assault women, and that he’s done it before and gotten away with it because of his celeb-status. We remain straight up disgusted. 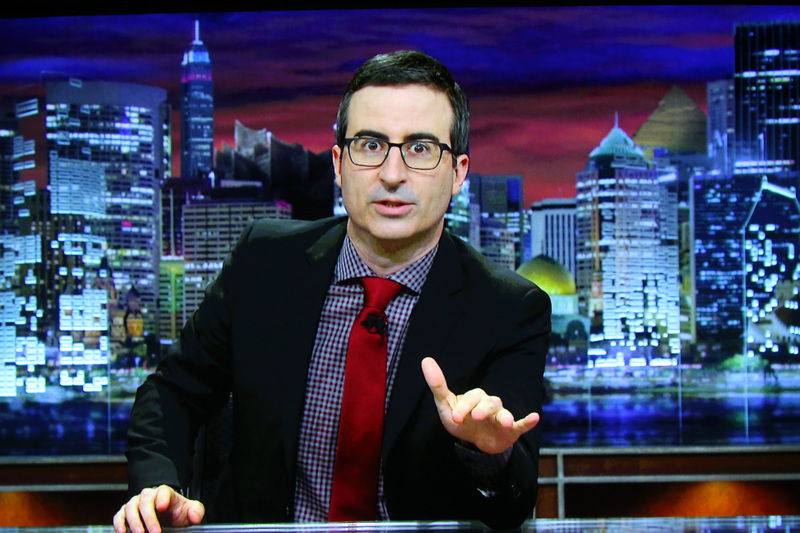 And so is John Oliver, who called out Donald Trump’s horrifying comments. Too, though, Oliver calls out those who are only just now stepping away from Trump and removing their support for the candidate. The only reason it would be only to just now be doing so? Watch John Oliver explain below!